If you subscribe to at least one good marketing news site, you’re well aware that everyone is still blogging to promote their products, services, and companies. What I want to look at in what follows are some of the trends that we’re likely to see happen, or which will continue into this year. I’ve been going through numerous surveys from the last quarter of 2016 and the first of 2017, focusing on content marketing and blogging, to see what trends seem to be on the rise and relevant this year. I’ve selected what I think are some of the more pertinent stats on blogging, but for a more in-depth view, you might explore the data reports I’ve linked to. You might have been inclined to think that blogging has reached its peak these past years, but the data tells a different story, showing it’s still in a growth process. According to data presented in 2015, there were over 250 million blogs published on the web. Out of these, at least 75 million are WordPress sites. This doesn’t count in Google’s Blogger platform usage, since their numbers aren’t disclosed. Well over 2 million blog posts are written each day, so it’s safe to say overall blog numbers are increasing all the time. HubSpot’s studies from the past 3 to 4 years keep showing improvement and growth throughout the blogosphere. This means that more companies and marketers are investing in blogging, and in the quality and variety of the content they produce. It is still considered one of the most effective marketing tactics available to us, and it will continue to be so for those who want to create a consistent identity for their brands online. 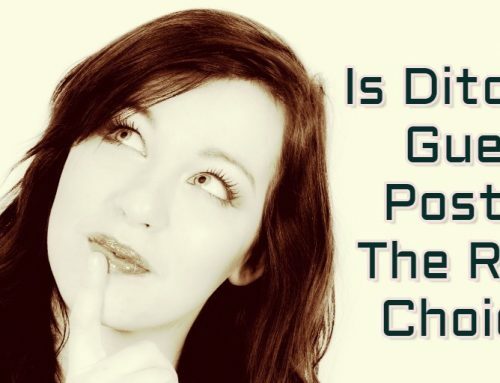 Keep in mind that blogging includes guest posting as well, which is another very effective way of getting a backlink, or increasing brand recognition and getting some indirect traffic. At this point it’s also worthwhile reminding that Google has been cracking down on low-quality sites, more and more pertinently with each new update. Signs point to the fact that Google will no longer tolerate sites that prioritize search engines over users, that put up ads which are hard to distinguish from regular content, or which overly rely on affiliate links. What this means is that you need to be more careful than ever with the quality of your blog in all respects - content is just the beginning, the basis of it all. B2B companies seem to have understood this much better, or are at least more inclined to invest in blogging. That’s what’s going on according to Content Marketing Institute’s B2B Content Marketing - some 86% of B2B companies are blogging, while only 77% of B2C companies have a blog. Still, those are pretty high numbers on both signs. It bears mentioning that Content Marketing Institute’s (CMI) studies target North America, but the numbers probably reflect similar trends in the rest of the world, since the US is generally the trend-setter for marketing. Webbiquity gathered from a TopRank study that 93% of marketers surveyed claimed they were doing content marketing. But as CMI themselves noted in their 2016 study, not very many had a documented content marketing strategy, despite clear evidence that those who did document their strategies saw better results. The same 2016 CMI study noted that only 30% of B2B marketers said they were successful in their content marketing efforts. A slight decrease from 38% in 2015. What this means, though, is that only 30% respondents (at the time) were doing content marketing right, or were more realistic about their goals, thus managing to get what they wanted. There are various factors that would drive a marketer to say they were satisfied with outcomes in one endeavor or another. These include setting realistic goals and following a clear strategy to meet them. Among them there’s surely marketers who set unrealistic goals, but somehow manage to achieve them. Outcomes will depend on the marketers’ experience, or how well they apply their knowledge and strategies to the market/s they target. It also depends on the resources available to each marketer/marketing team, the niche they activate in, and the competition they face. Content is effective, there’s no use in trying to prove that anymore. It is already what we call a “proven tactic" for increasing website traffic, improving SEO, lead generation, brand awareness, and so on. Content is at the core of everything that marketing does, because content is at the core of our society, whether you’re selling, promoting, or just informing. What those percentages say, however, is that everyone is still doing content marketing and, as the study goes on to indicate, more and more marketers create a documented strategy in order to have better control over their results and measuring ROI. HubSpot stated that companies with a blog have up to 97% more inbound links. That’s of course true for blogs that regularly post quality, informative content. It’s the only way you’ll be able to attract steady traffic, and a healthy group of regular followers. The more you increase your reputation as a good source of content, the likelier it is other blogs and sites will start linking back to your web pages. Evergreen content, as usual, is the biggest driver of traffic and links for long periods of time. It has also been shown that articles published on Thursdays usually have a better reach - that’s probably because they appear later in the week, when people may have a bit more spare time to read and share, and includes weekend days, when many catch up on reading their favorite sites and blogs. Another important idea is that guest posting, which is one of the most effective tactics for getting inbound links, is only truly effective when you’re doing it right. First of all, few, if any, bloggers/blogs/sites offer “follow" links unless they get something in return. And unless you’re offering truly great content that they’d love to feature on their blog to delight readers and attract more traffic, they’re going to probably expect something in return. Secondly, if you want a guest post to really pay off for you, you need to make sure the post will be there for as long as the blog exists, without being removed some months later. One mistake some marketers make is outsource their link building to companies who promise to get them links on various high domain websites. But only few of them are honest enough to disclaim that the content might only be available on those websites for a limited time. Well-written posts can generate traffic and quality leads for years after publishing, especially if they can be naturally updated by their author. The takeaway? Do your own link building by contacting serious bloggers and developing real relationships with them. As much as possible, have your content produced internally, by employees or collaborators who know your product/services well, your USPs, your company culture, etc. - so that you’re being represented at your truest on every platform you reach. This ensures the quality of the content associated with you, and increases the chances for the content’s longevity - thus making it a good long-term investment as well. In a recent study conducted by Advanced Web Ranking, it was shown that almost half of marketers outsource content creation either partially, or entirely. This isn’t just because producing original, engaging content is difficult, time-consuming, and takes a lot of other resources, but also because that’s what audiences and online users are best at: consuming content. At the same time, very few marketers automate content creation. As much as 63.85% of marketers deal with content creation manually. Why? It’s not hard to intuit: professional, informed marketers rely on their keyword research, market insight and talent to come up with topics for their content. You can’t automate quality (yet). You can check out the study linked above, and find out how various types of marketers approach content creation. Unsurprisingly, freelancers outsource more than agency and in-house marketers. The main takeaway here is that you shouldn’t feel outperformed if you haven’t been handling content creation very well on your own, and it’s perhaps time to think about outsourcing. Using video with your blogging, or converting your content into podcasts is not a new idea, but few marketers apply it, since it’s so difficult to produce quality all the time. You have to either hire a specialist and develop your own in-house team of experts that are able to seamlessly integrate it in your marketing strategies, or hire outside help. However, studies show that blog posts with video attract as much as three times more inbound links than posts without video. 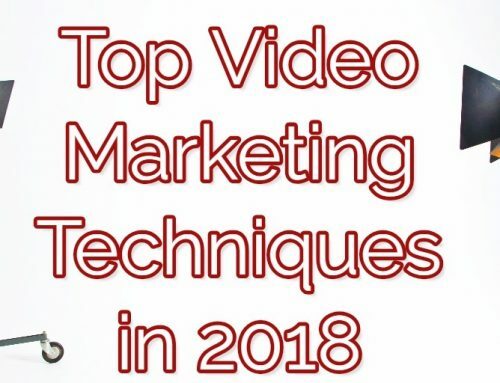 You can also check out this post with video stats that will surely change the way you feel about video - if you’ve been avoiding it, you’ll probably reconsider. whether you should use it to promote your products or just to inform, and so on. 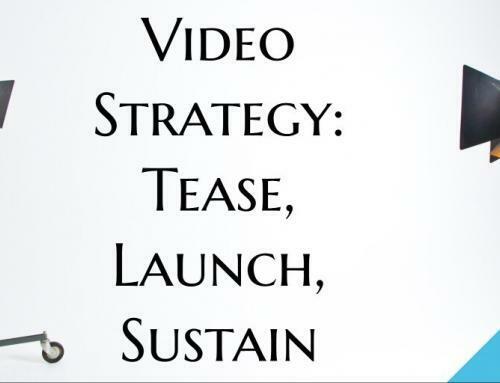 We know that images and video attract more readers and decrease bounce rates. With video, however, you can achieve even more. 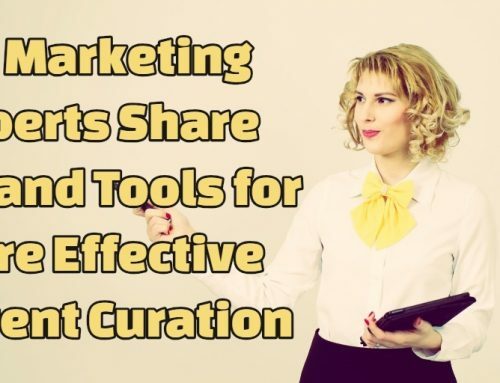 For instance, if you present the same content in both written and video formats, you reach a wider audience - you please both those who want to read, and those who prefer to consume content in video format. Besides higher traffic, you also increase shareability, since a huge chunk of online folks tend to prefer sharing video over text. And the SEO benefits are obvious - text that’s optimized for search engines, and the audio part of your videos, which can be of great help for the vision impaired. Add subtitles to your videos, and you support those who are hearing impaired. In a study conducted by Meaningful Brands, it was discovered that over 60% of the content produced and published by brands was considered poor or ineffective. Even more troublesome, people wouldn’t care if 74% of existing brands would disappear. What are the odds that yours is among them? It’s hard to fight against all that competition and make yourself relevant to your audience. That’s usually achieved slowly, over years of proving yourself to prospects and customers, and content is not enough for that. You have to be authentic, and authentically helpful. Networking and associating yourself with other worthy brands or blogs can help. For instance, more bloggers are open to guest posting, or to being approached by brands who look to place an article, or request an article from the bloggers themselves. But no good thing comes easy or free, so many bloggers expect to be paid, no matter the niche they activate in. This is probably related to the quality of their blogs, their traffic, number of visitors, subscribers, and even followers on social media. And in some cases, perhaps dependent on whether (or how) they monetize their blogs. The takeaway would be that more and more bloggers expect to monetize on their blogs, or simply feel that their work should be repaid if they choose to promote a related brand. This is good news for brands, whether they have their own blogs or not, but they have to realize they may have to pay for quality feature articles. The Content Marketing Institute surveys from the last couple of years have placed quite a lot of importance on asking their respondents whether they actually document their content strategies, and found a relevant correlation between those who don’t and are also unsatisfied with the outcomes. Results of the study for 2016 found that only 32% of surveyed B2B marketers had a documented content marketing strategy, 48% had one but it was not documented, and 14% didn’t have one at all. There was also a small percentage of marketers who were unsure about their strategies. What’s more, only 28% of those surveyed had a documented editorial mission statement. It’s interesting that CMI chose to focus their last two surveys on whether marketers document their strategies or not, and how their findings seem to support the idea that proper documentation drives success and outcome satisfaction. This is something you should seriously consider for your blogging. Having an editorial calendar is no longer a mere suggestion - most serious businesses are doing it, and you’re competing with them. An editorial calendar, combined with a properly documented strategy doesn’t just ensure that you publish quality content regularly - in a variety of forms -, but also keeps you on the straight path to reaching your goals. So it seems like in general, B2B companies are more organized, better document their strategies, use more tools and social media platforms, and have better systems in place for their marketing efforts. This is intuitive, since it’s usually more difficult to sell to other professionals who are not only more careful about spending and justifying budgets, but also have a number of executives to justify their actions and budgets to. CMI’s data correlates with Advanced Web Ranking’s report, which shows that agency marketers use more tools (both for executing SEO tactics and client reporting) and tend to do most of their work internally, preferring to have stronger control over what they produce. Overall, more than half of marketers have strategies, but not all of them document them. And 44% of all marketers meet daily or weekly to discuss their immediate plans, which is a pretty compelling case for running a tight ship. This doesn’t necessarily mean you have to micromanage, but make sure that everyone knows what they have to do and that they don’t run into any issues and obstacles with implementation. CMI found that marketers rate blogging as the fourth most effective method for content creation and distribution, right after in-person events, videos, and webinars. 42% of these marketers said they publish content daily or multiple times a week, which means they find these frequencies as being most effective, even though a great majority quoted coming up with good content as one of their major challenges. The same study for 2016 showed marketers wanted to increase content creation, and rated blogging as their third most used content tactic after social media content and case studies. However, blogging came 8th in effectiveness out of 10 total options, rating lower than in-person events, webinars, case studies, white papers, videos, research reports and newsletters. So whatever you’re planning for 2017, know that it has to include a wide variety of content, for as many platforms as you can support. And if your main interest remains with blogging, consider diversifying the types of content you publish, and the channels you use for promotion. 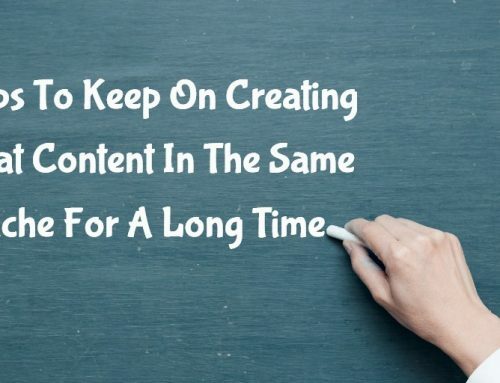 As you’ve seen, there are no major changes happening with blogging and content marketing in these past few years - and that’s a good thing. Trends need to be rather predictable, and we want to see progressive growth or decline in the tactics we follow. That’s why you always want to look at data spanning a few years, otherwise you’ll have a bit of a hard time determining what’s a trend and what isn’t. blogging is still one of the most important tactics marketers use to create and distribute content. video is more and more popular among online users. Don’t forget that mobile users consume content on the go, and internet mobile usage has almost surpassed desktop usage. outsourcing content creation is quite common, and most marketers do it because demand for fresh content is higher than ever. Lots of Millennials now use special apps that “read" articles for them while they’re at the gym, shopping, queueing, or completing some mindless, repetitive task. Investing in podcasts and video can expose you to new audiences you’ve not managed to reach so far. How do you plan on approaching your blogging this year, what plans have you made? Will you produce more content, or work towards higher quality and variety? Lia Boangiu has been a content writer for three years, though only recently she's discovered a passion for SEO and online marketing. Eager to learn more about the industry, she got a job in the marketing department at Caphyon, where she contributes to Advanced Web Ranking's blog. Outside of work, she continues her love of writing by contributing to literary and theatre magazines. Excellent post Lia, thank you! Your line “There are various factors that would drive a marketer to say they were satisfied with outcomes” in terms of content marketing is spot on. A common misunderstanding is timing; yes, as you also note, “Content is effective, there’s no use in trying to prove that anymore. It is already what we call a “proven tactic” for increasing website traffic, improving SEO, lead generation, brand awareness, and so on,” but it doesn’t accomplish all of those things overnight. It takes time to build authority both with an audience and search engines. As I often put it, PPC advertising is a bean plant; content marketing is an apple tree.